This glamorous chest of drawers will add both style and functionality to your bedroom. 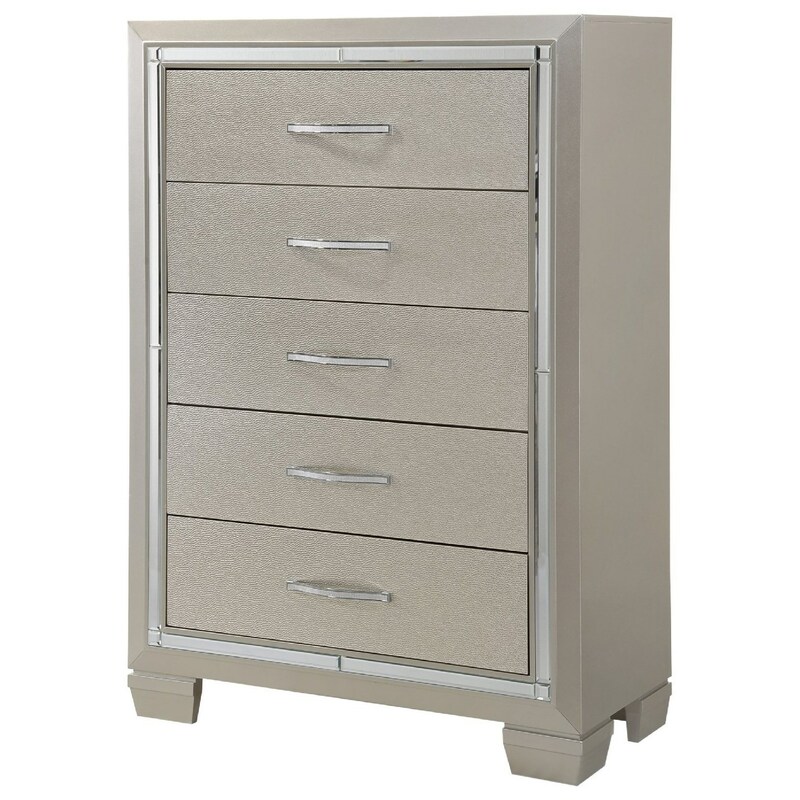 The chest is fashionably accented with mirror trim, a champagne finish, and crystal accents in the drawer hardware. Not just pretty to look at, the five drawers are sturdily constructed with English dovetails and ball bearing drawer glides. The top drawer is lined with felt to help protect delicate items. Pair this chest with the matching bed with mood lighting to create a stunning and updating bedroom set. The Platinum 5 Drawer Chest with Mirror Trim by Elements International at Zak's Home in the Tri-Cities, Johnson City, Tennessee area. Product availability may vary. Contact us for the most current availability on this product. The Platinum collection is a great option if you are looking for Glam Contemporary furniture in the Tri-Cities, Johnson City, Tennessee area. Browse other items in the Platinum collection from Zak's Home in the Tri-Cities, Johnson City, Tennessee area.